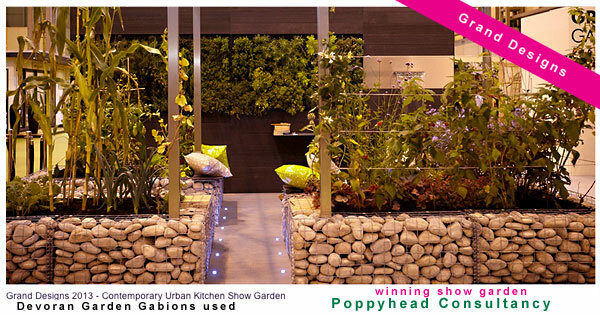 Garden & Landscape Designers - Devoran Garden Gabions Ltd.
Poppyhead is an innovative Manchester-based landscape design business delivering contemporary garden solutions throughout Cheshire and the North West. Catherine Thomas is based in Salisbury, Wiltshire and designs gardens and landscapes all over the south of England and further afield. Jacquetta Menzies Sustainable Landscape and Garden Design provides a complete service to create well proportioned spaces inspired by the spirit of the landscape, with planting that sustains people and promotes biodiversity.